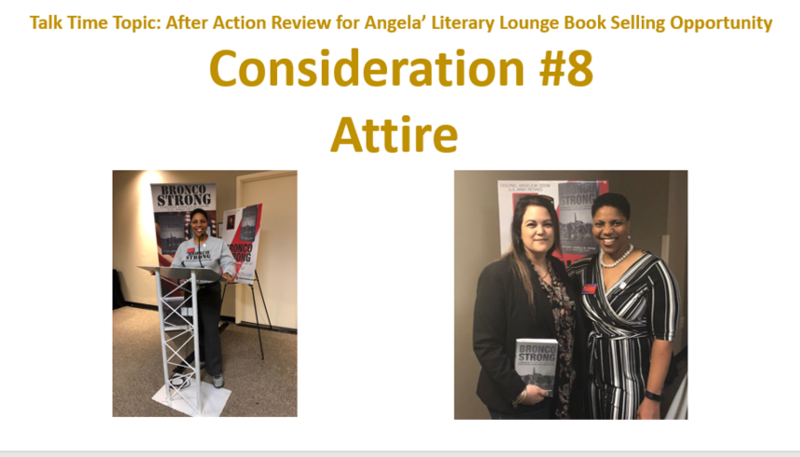 BACKGROUND: I was invited to serve as a Featured Author in the Literary Lounge at a conference sponsored by the members of Delta Sigma Theta Sorority, Inc.,'s Statewide conference. 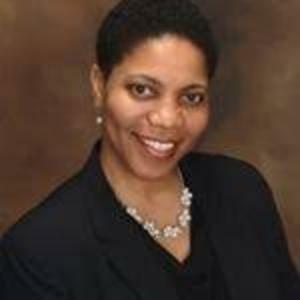 The conference attendees were members who resided in the State of Florida and in The Bahamas. As a member of this community service organization, I was fortunate to be listed in the Delta Author on Tour Directory for 2018 - 2019. The conference organizers invited authors from the directory to share their book at the conference. This is my attempt to share my lessons learned with you so that you may achieve success in this area. 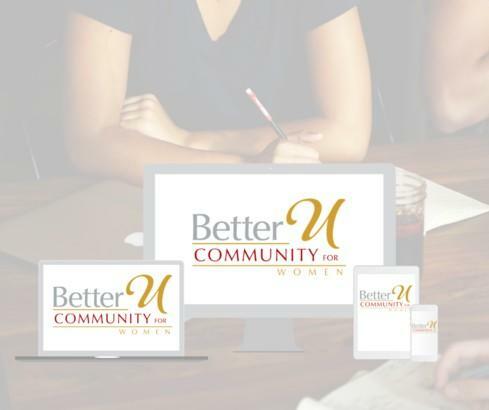 An After Action Review allows one person or a group of people to determine best practices and acknowledge lessons learned after an exercise or event has ended. As stated in the 01.15.2019 article, the list of things to take into consideration are not in order of priority nor is this an exhaustive list of every single concept or relevant topic. 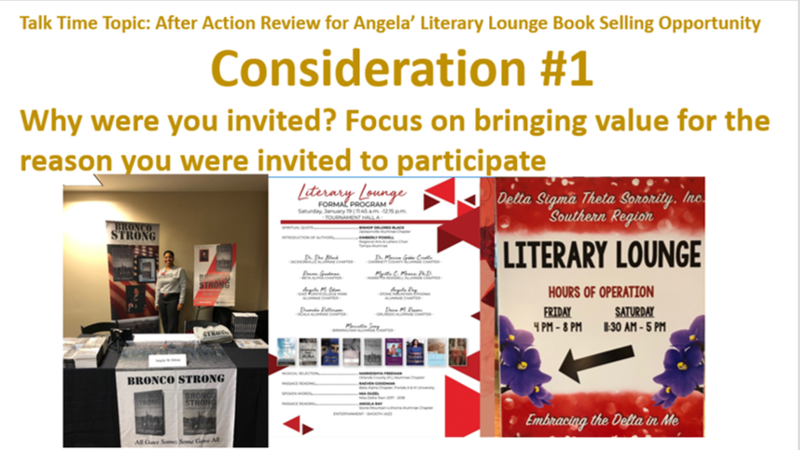 Consideration #1: Focus on bringing value for the reason you were invited to participate. In order words stay in your lane. Ensure you are familiar with the overall mission and objective of the event. Determine where you fit and then show up and show out. AAR #1: All of the authors were clearly focused on sharing their story professionally. Consideration #2: Take some time to document relevant tasks that you must accomplish in three different phases: Before the event occurs, During the event, and After the event ends. Consideration #3: Show up early. If you show up on time, then you are late. When the event organizer request documents or information, provide them in the format and timeline requested. AAR #3: I was on time for everything scheduled. I did come danger close to missing a photo opportunity. I made it just in time. I learned to stay focused on the mission at hand. 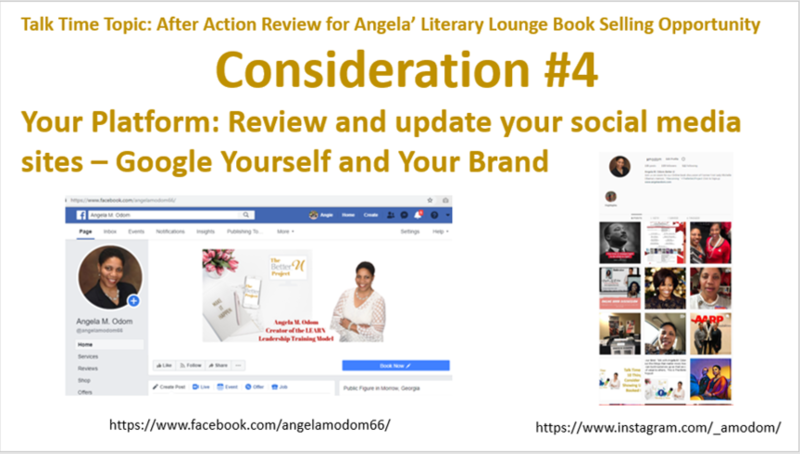 Consideration #4: Google Yourself and Your Brand. Review and update your social media sites because that's exactly what the attendees and organizers of the event will do. Because you don't really know the reach of the marketing materials or the word of mouth of the participants, you should ensure your social media sites represent you very well. AAR #4: I can do better. I googled my name and my brand. Some of my sites have inconsistent messages. Consideration #5: The first step is to put together a professional, complete press kit, now-a-days called an EPK. People will most likely not take extra steps to find information, it should be easy to use, and easy to send. A webpage on your website, which allows you to simply send a link to convey the information is the easiest to put together. Or make a word document with everything in it. AAR #5: I can definitely do better. I can do better. What did the event coordinator request from me? Consideration #7: If you’re starting a business, or even thinking about starting one, one of the first things you’ll need to do is nail down is your elevator pitch. This is a two-three minute summary of your business (or business idea) that tells your audience what problem you’re going to solve. You’ll want to distill your concept down to just two to three sentences that are easy for anyone—be it a customer, a potential employee, or an investor—to understand. A great elevator pitch will make them understand the value of and need for your business instantly. Consideration #8: Be sure to wear the appropriate clothes for the event. AAR #8: I nailed it. AAR #9: I nailed it. Consideration #10: Every time you contact someone new to book you or your band, you are developing a new RELATIONSHIP; they may say no now, but it can always turn into a yes somewhere down the road. Anyone you meet now may be someone you work with in the future (it’s happened to me many times!). AAR #10: I nailed it! P.S. I shared the Bronco Strong story at the Florida and The Bahamas State Cluster. This is a military memoir written eight years after my third combat deployment, when I served as the Battalion Commander for the 15th Personnel Services Battalion in Iraq. You can purchase the book on Amazon.